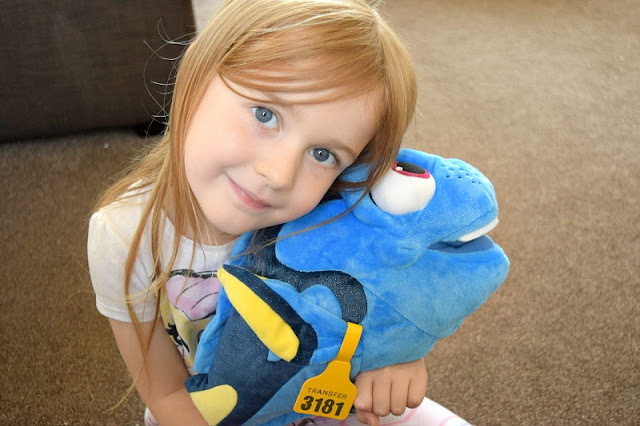 Although we have somehow still not seen Finding Dory, which is on the Summer holiday bucket list, the kids are all caught up in the hype and of course know Dory from the Finding Nemo film, which we have seen about 50 million times. I was growing up when Finding Nemo came out so I do have a huge soft spot for cute little Nemo and the super forgetful Dory and I am probably as excited, if not more, than the kids. If it is anything like Finding Nemo, it will be a well loved movie in our house. 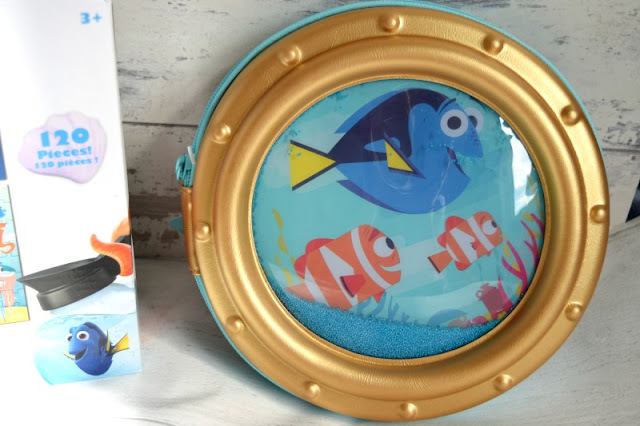 Anyway back to Finding Dory, we need to watch it and in the meantime have been sent these awesome items to review from my favourite kids store in the world, Disney Store! 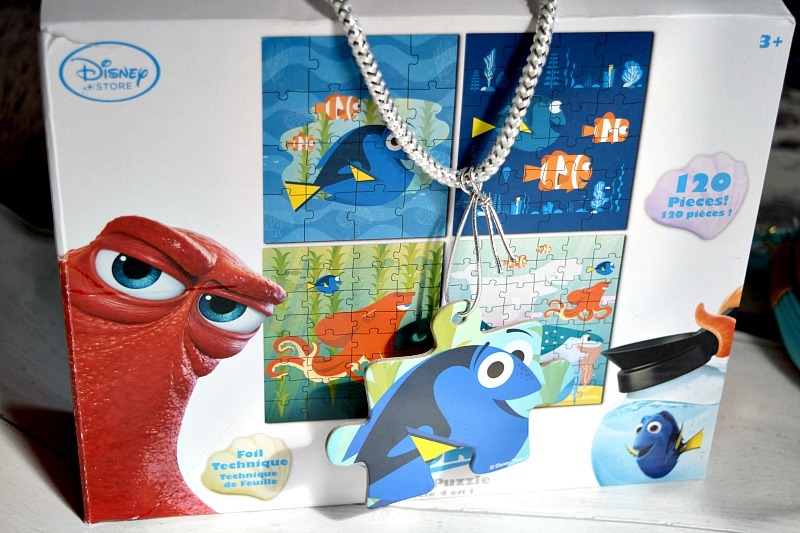 They sent us a surprise parcel of items which contained a soft cuddly Dory, a jigsaw and a 3d activity set/pencil case. The kids were so excited to see what was inside. They love jigsaws and we have a few of these large Disney Store ones as they are such brilliant quality. I tend to buy some from there every Christmas and somehow they manage to not be destroyed by the kids no matter how many times they are emptied and trodden on. 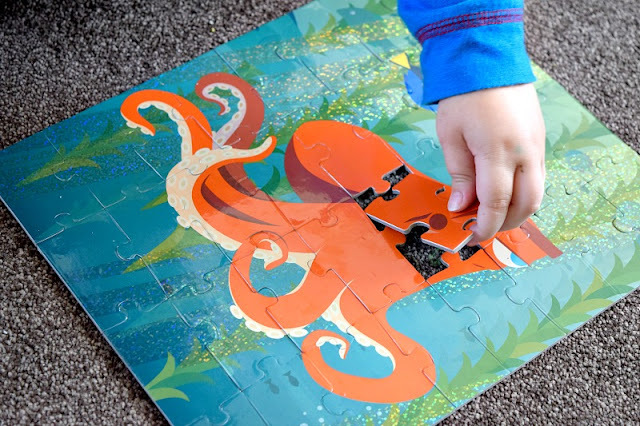 The jigsaw is a 4 in 1 collection featuring a range of characters from the Finding Dory film. They also have a glittery foil effect which makes them look really sparkly and bright. Each of the 4 puzzles have different size pieces and a different number of pieces. So each one is easier or more difficult than the others. This is great for a family with children of mixed abilities. Gracie likes to try the more difficult ones whereas Zach likes to do the easier ones. Having easier ones in the box means Zach gets to do them independently which makes him happy! The Dory plush is adorable. It is such good quality, as you expect from an official Disney Store cuddly toy. It is large in size and very detailed including some sparkly bits mixed in with the dark blue giving her a glistening effect. It even has the tag on Dory's fin. Gracie absolutely loves her new Dory, who has taken pride of place in her new bed. The Finding Dory Zip Up Stationery Kit includes over 25 pieces. It contains 10 coloured pencils, 10 felt tip pens, 2 pencils, notepad, pen, scissors, stencil ruler, glue stick, eraser and sharpener. The case itself is shaped like a ship window and has a snow globe-like effect. It is as if you are looking out the window at the fish and can see bubbles floating around the water. The kids were so impressed with this especially as they recognised the fish as Dory, Nemo and Nemo's Dad. It is a brilliant set with all a child needs to get creative and will really come in handy for Gracie's homework when she goes back to school. To celebrate the release of Finding Dory , Disney Store is hosting a series of exciting in store activities for kids and families up until 3rd September. There is also a huge range of Finding Dory items including the ones we have received available in store and online. We were so impressed with all of the items, the kids are looking forward to a trip to our nearest store soon to get some Christmas list inspiration! While we are on the subject, I would love to know if you have seen Finding Dory yet? 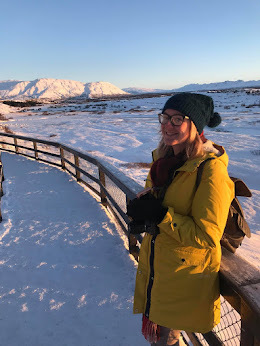 And if so, I would love to know what you thought! Let us know in the comments below or over on Facebook. I watched Finding Dory and I loved it, it was a lot of fun. Its great that they are putting activities on for kids before they go back to school. I'm really looking forward to watching this film as I just recently watching Finding Nemo again! These all look fab things for the little ones. I haven't seen finding Dory yet but loved Finding Nemo, we still have a Dory teddy from when that was released!